At the end of 2018, we announced that we had been approved to become official UK BioBadge distributors. The news meant that we could proceed in switching our range of standard open-faced ID card holders to BioBadge, a new biodegradable option. As a group, we expect to distribute around 10 million card holders into the UK market alone in 2019, so a relatively small change for us will result in a big difference in plastic consumption. If we can do our bit, then your business or organisation can do theirs. What is BioBadge and why are they different? 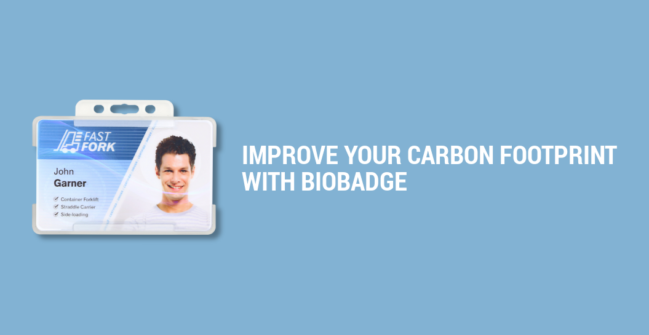 BioBadge holders are made from ‘oxo-biodegradable’ plastic. 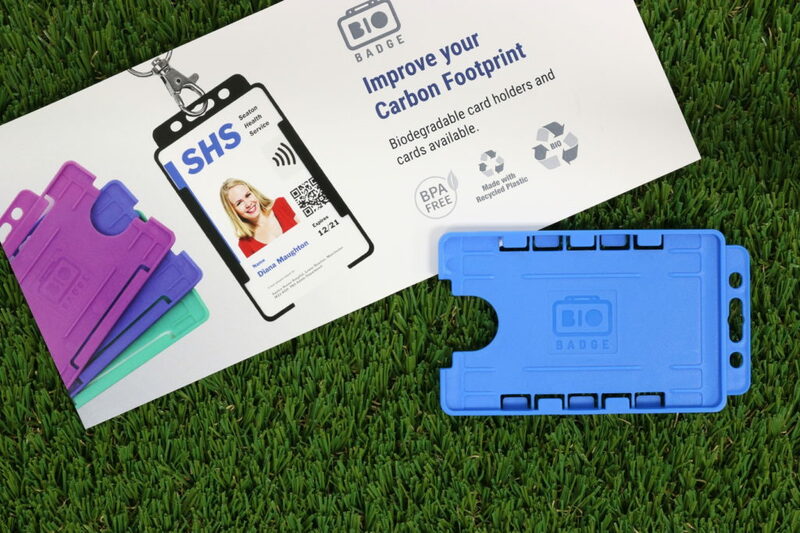 Once the holder’s life has come to an end, the biodegradable additive breaks-up the polymer chain, allowing it to biodegrade safely within the environment at a much quicker rate than our previous range of cardholders. We believe that every organisation should do their bit to take care of the environment, including ourselves. A little effort goes a long way, and by opting for our biodegradable ID card products, this will only benefit your organisation and show a commitment to improvement. Take a look at our range of BioBadge holders or for a free sample pack, please call 0800 988 2095.